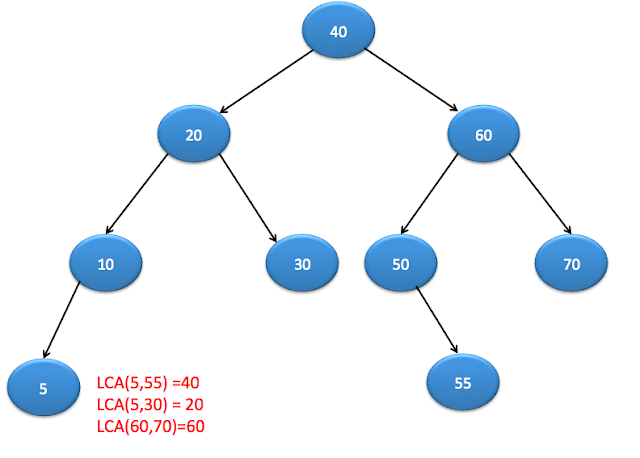 In this post, we will see how to find lowest common ancestor(LCA) of two nodes in binary search tree. We have already seen how to find LCA in binary tree. It is much simple than that. If node is lesser than A and B , traverse right subtree. // if you reach at this place, then it is LCA for given two nodes because a and b are on either side of root. It is similar to recursive solution, here we are using while loop to traverse nodes.